Home > Meditation In Action > How Do I Know if it's Working? The question: 'How do I know if it's working?' is the sort of question that in popular representation would meet with side splitting bursts of laughter from a wizened old Zen master. Of course, the reality is that if you were to meet a wizened old Zen master you may well meet with laughter at such a question! The thing with meditation is that, at least spiritually speaking, it is nonsensical to speak of something 'working' or 'not working'. Classifications such as these belong to the realm that we are used to living in. The practice of meditating does not attain after something that works for 'this' or 'that' purpose, it attains rather after the elimination of such distinctions through a clearing of the mind. In a Western sense, you may well meditate towards some end result, such as greater sense of well being or to relieve pain. In this case it is possible to ask if it is working in the long term, but you must remember that asking such questions may put strain on the process of meditation and make it less likely to work. If you do wish to ask whether meditation is working for you it is worth ascertaining precisely what you would like meditation to achieve. In doing this you can gain how far you have come in reaching your goals over time. However it is important to remember that changes may take a while, and that many of these changes are not quantifiable. Further to this, it is worth bearing in mind that asking too many questions of your meditation practice may point essentially to the fact that it is not working! If you are asking questions about the effectiveness of your practice you are not living in the moment, and if you are not living in the moment you have not reached peace of mind. The best way to gauge the results of meditation is to keep a meditation journal (see related article). In so doing, it is possible to set aside a few minutes after meditation to record your recent experiences and to look over past experiences, without judgement or undue worry as to the progress of your meditation. If you are meditating to reduce pain, it is worth noting that the reduction of pain that accords with the practice of meditation results in tandem with a reduction in stress levels. For this reason, pressurising yourself as to whether it is 'working' or not will certainly not be of any benefit to you. It is also worth mentioning that pain is relative, and until there is a significant reduction of pain you are unlikely to feel the benefits: Put simply, acute pain is acute pain and it is not until you have a significant reduction in pain levels that you will be able to say that meditation is definitely working for you. If your meditation practice actually induces negative effects then it is safe to say that it is not working for you. In the case that it is causing you physical discomfort, it is worth consulting a doctor and working in tandem with respected meditation practitioners who understand you doctor's advice. If your practice induces some kind of spiritual or mental discomfort then it is important to take a step back and seek the advice either of doctor, psychologist or a trusted and respected spiritual practitioner. 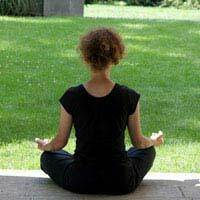 Most of all, it is important in any case to treat meditation as a simple exercise that can be beneficial to your health and wellbeing if undertaken properly and to not seek too hard after fast results. When it works, you'll see it work, perhaps most notably because you won't be asking 'Is it working?' anymore!